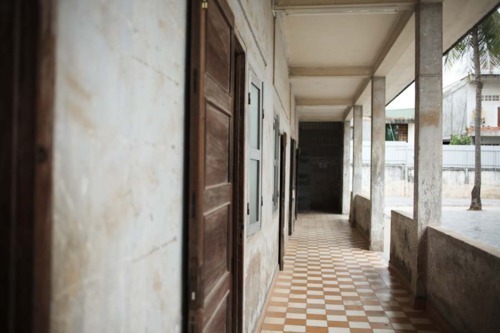 This is the hallway of Toul Sleng, a school that became a prison and a torture centre during the Polpot regime in Cambodia. You can imagine the pain and all the torture that went on there during those times, feel how those detained and starved in the classrooms felt while the guards patrolled the hallways. It’s silent with just the sound of the guards boots hitting the floor. Photos of the victims show their blank stares, like their souls have been ripped out. It hasn’t been that long since the end of the regime.